The dessert table. Chocolate cupcakes iced with chocolate butter cream icing. 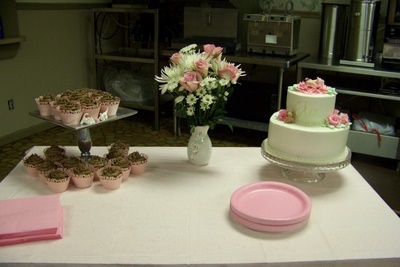 10″ white cake iced with vanilla butter cream (bottom), 6″ strawberry cake iced with vanilla butter cream (top). 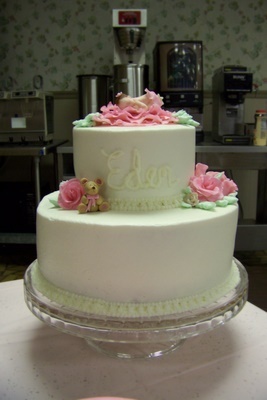 Fondant flowers, baby, teddy bear and kittens ( on the cupcake stand).